Many thanks for the support to Henro and the manufacturer Cooler Master. 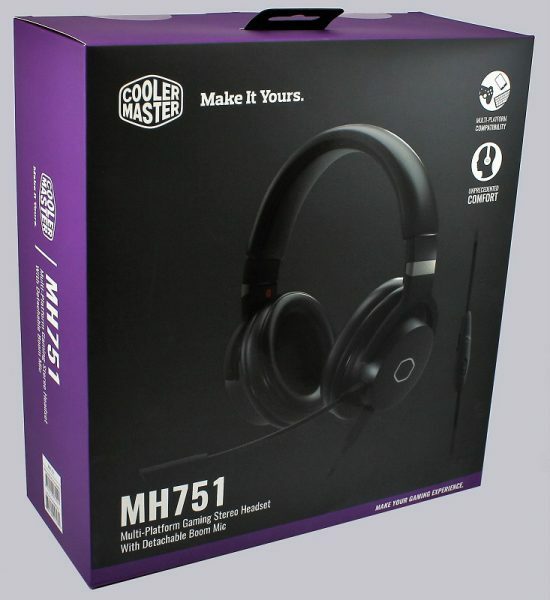 The Cooler Master MH751 at review date has a price of about 60 Euro and the Cooler Master MH752 USB version about 75 Euro (01/2019). 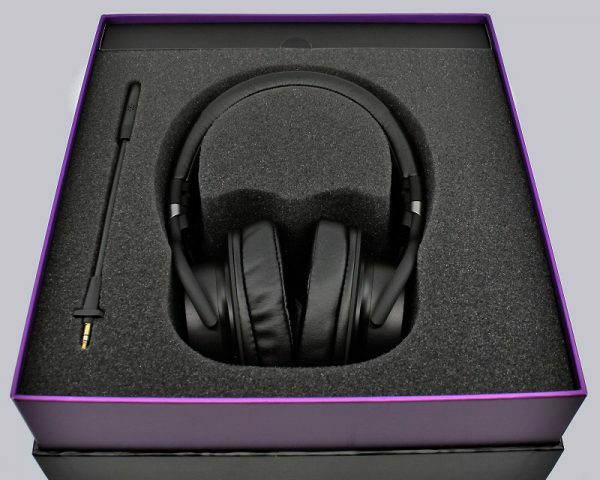 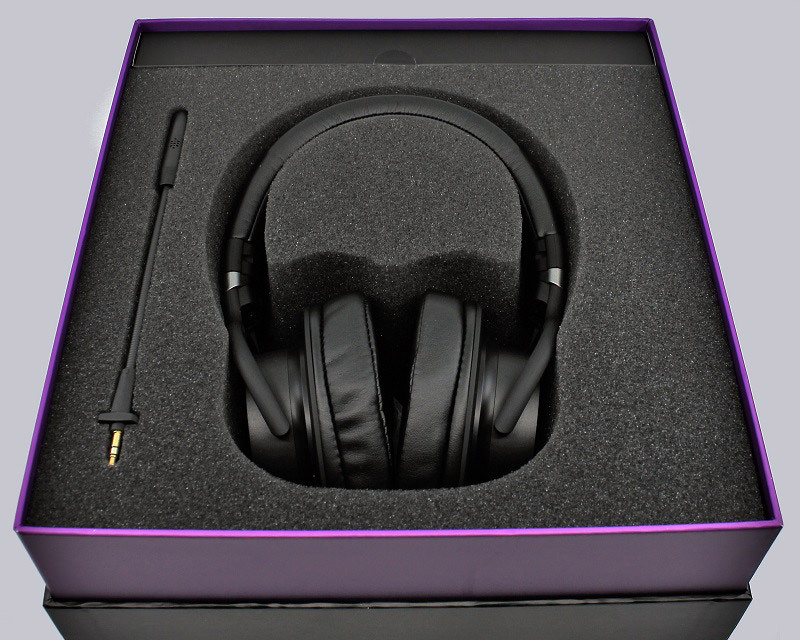 The MH751 headset reaches us in a packaging in the typical Cooler Master design. 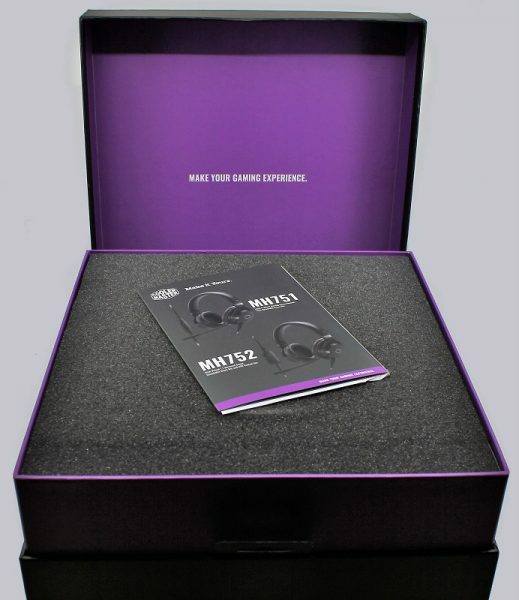 The box is quite noble designed with the black / purple color scheme and the “make your gaming experience” slogan. We first find a printed quick guide. 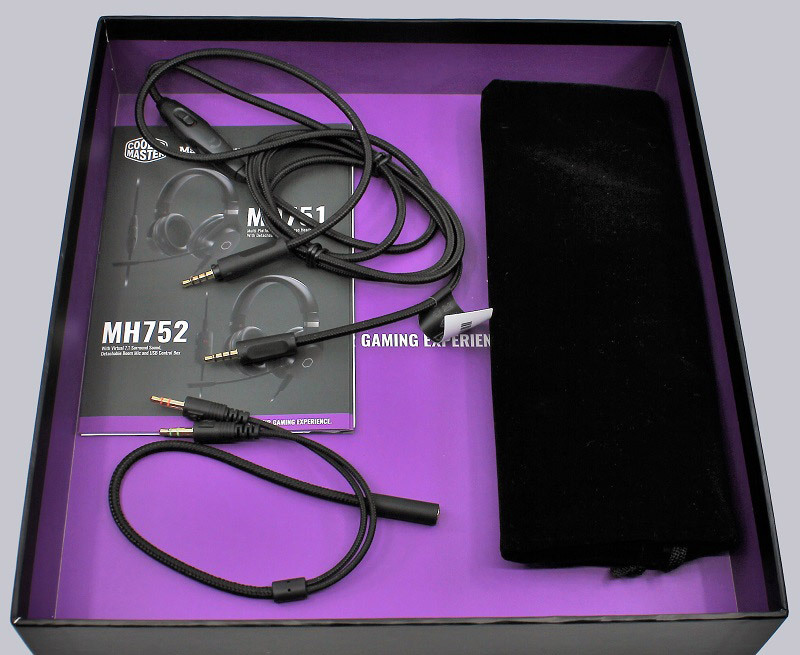 Underneath, the headset is rather roomy in foam, as well as the microphone and an accessory box at the top. 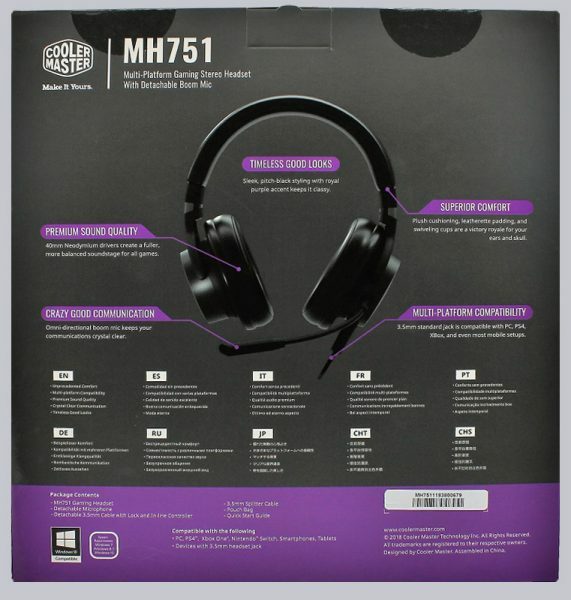 Everything is very clear and handsome designed. 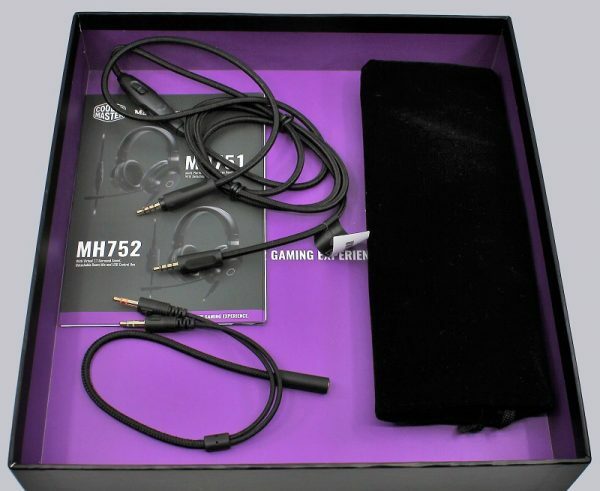 In the accessory box is a storage bag made of black velvet, the fabric-sheathed connection cable and a likewise sheathed Y-cable to divide the headphone / micro combo plug into 2 stereo jack plugs.